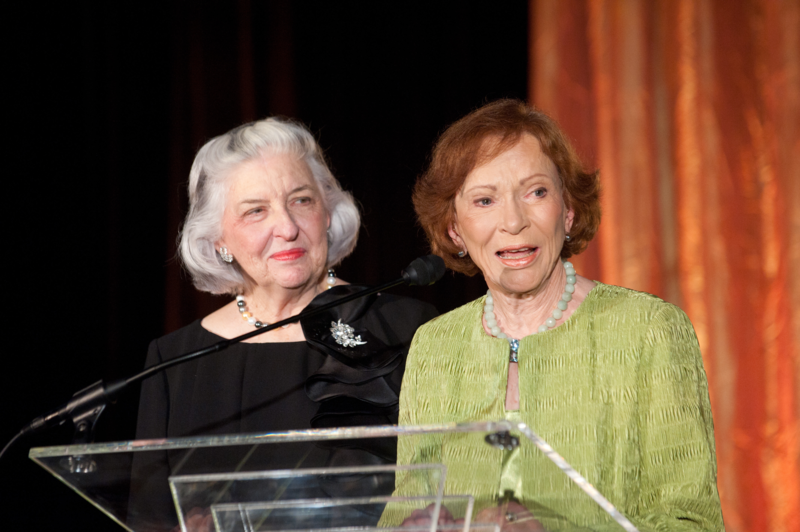 Every Child By Two Co-founders Rosalynn Carter (right) and Betty Bumpers (left). 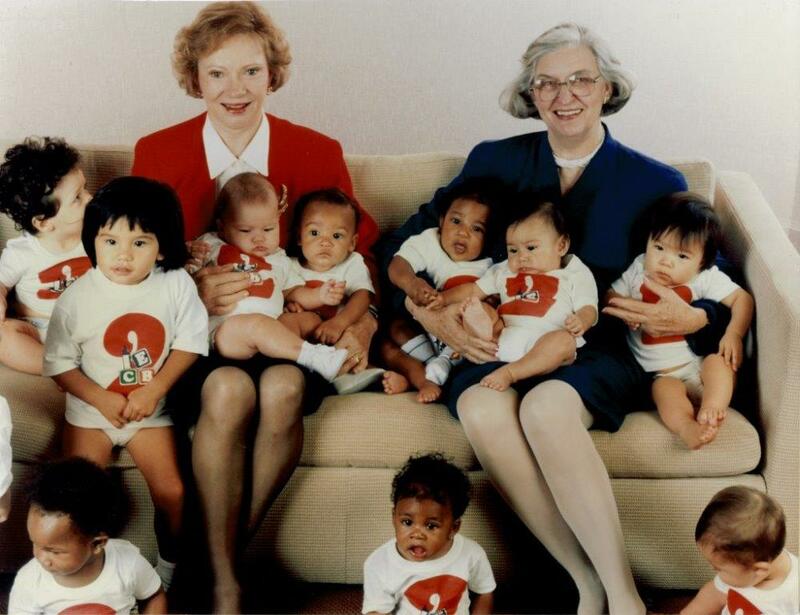 Every Child By Two’s beloved co-founder and President, Rosalynn Carter, is celebrating her 90th birthday today. Mrs. Carter continues to inspire all who know her through her persistent commitment to the health and well-being of people throughout the world. Her compassion for those in need is the motivating force that drives the Every Child By Two (ECBT) staff to ensure that everyone, at every age, is protected against vaccine-preventable diseases. Many of our fellow advocates have had the pleasure of meeting Mrs. Carter over the past forty years as she traveled to every state in our great nation alongside her good friend and fellow Every Child By Two Co-founder Betty Bumpers. In each town they visited, she and Mrs. Bumpers met with public health and community leaders.Together they discussed immunization challenges and helped to build immunization coalitions across the nation. Many of these coalitions still exist today and continue the important work of ensuring that the public and healthcare providers are educated about infectious diseases and the vaccines that prevent them. Through her work at the Carter Center and the Rosalynn Carter Institute For Caregiving, she continues to advocate for mental health, caregiving, global health, human rights, and conflict resolution. Over the past twenty-six years, Mrs. Carter has unfailingly supported the staff and board in our efforts to fulfill the critical mission of Every Child By Two and the Vaccinate Your Family program. Thank you Mrs. Carter for all that you have done, and continue to do, to help people throughout the world. You mean the world to all of us!